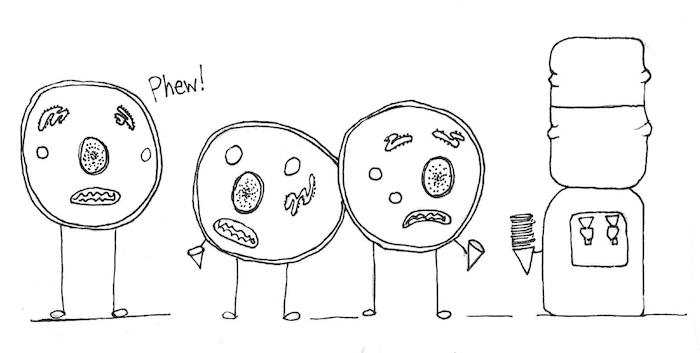 A blog about the chemistry of food. What really causes oven spring? That’s what Doc D. wants to find out. Doc contacted me because he wondered how the three components contribute. He’d made a mathematical model of oven spring that used the ideal gas law (PV=nRT) to model the expansion of the gases already present and the solubility of CO2 as a function of temperature to model the gas coming out of solution. His model suggested that the final production of CO2 by yeast would play a very small role. Doc pondered different ways to estimate this CO2 production. They’re over my head, so I’ll quote him: “by regression from loaf volume vs time rather than from modeling population density, growth rate, sugar availability, etc.” Then he came up with an experiment: he’d make two identical loaves, and before putting them into the oven, one loaf would be hit with a high dose of X-rays to kill the yeast. He acknowledged that such a dose might also affect the dough. 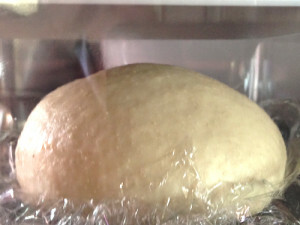 Doc realized, however, that he could easily “view” the existing gas in the dough by placing a proofed dough ball into a bell jar and quickly creating a vacuum. This would at least show him if the available gas was enough to expand the dough fully. Doc still wants to know how this expansion relates to a normal oven. (I’m personally thinking we should all switch to “vacuum ovens.”) Do you have any ideas for further tests? Post them in the comments! Buehler, Emily. Bread Science: the Chemistry and Craft of Making Bread. Carrboro, North Carolina: Two Blue Books, 2006, p186. The original sources were  and . Moore, Wayne R. and R.C. Hoseney. “The Leavening of Bread Dough.” Cereal Foods World 30 (1985) 791-792. This paper shows that the CO2 present is not enough to explain oven spring, and that ethanol and water vapor must therefore be involved. I just sent it to Doc, and he’s got some ideas about it; I now need to look up the references. Burhans, Merton E. and John Clapp. 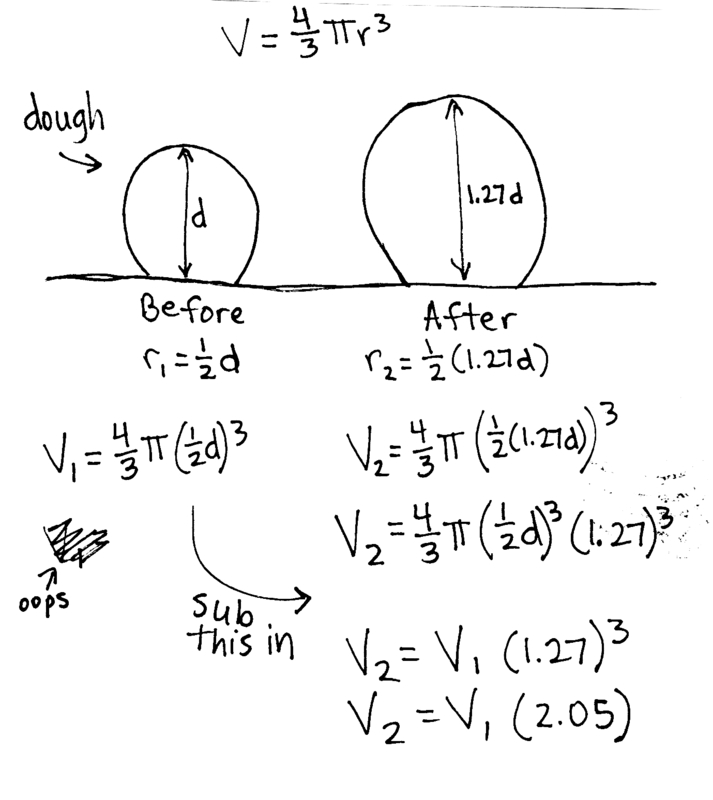 “A Microscopic Study of Bread and Dough.” Cereal Chemistry 19 (1942) 196-216. See page 214. 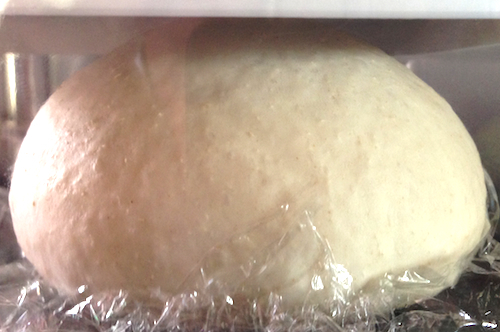 This entry was posted in Bread, Food and tagged bread on March 27, 2014 by Emily. Emily Buehler lives in North Carolina. Among other things, she writes, edits, works for the co-op, and takes care of several cats. Read more.